LLC Hostel Meal & Account Management (LMMS) is a management application to maintain a hostel's meals and accounts. It is very useful for student hostel or boarding school. It helps to keep track expense and deposit of a hostel. 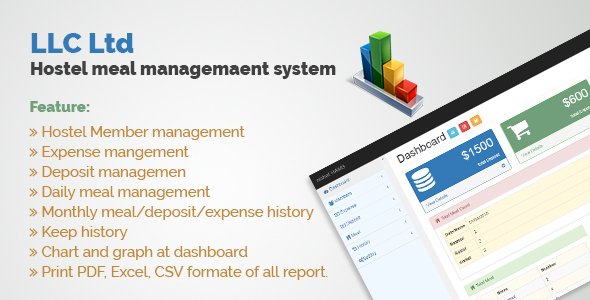 This application is very easy to operate and light on system tool to maintain information about members and their expenses or deposit.